This is very hard to write about, but I think that if I do, I’ll feel better about it. Sometimes it’s hard for me to loosen up and let go and just let things happen. I like being in control of myself and having a plan, knowing what I’m going to do, and when, and how. But it’s hard to do that when another person is involved. So right off the bat, that lack of control is kind of frightening. At the same time, I have to respect the other party and accept that in this situation, I’m along for the ride. I’m pretty personally bruised in this area, having been hurt deeply before. It’s been more than a year and I’m still not sure I’m completely over it or if I’ll ever be. But I don’t want it to affect my future with anyone else, and part of making sure that doesn’t happen is overcoming this sense of dread. This fear that at any moment, the other shoe will drop and I’ll be left alone, that I’m unlovable or not worth the effort. That other women are more interesting, or friendlier, more outgoing, prettier, or otherwise superior to me. It hits me at varying times: on the subway, at night in bed, when I walk to the Metro. It’s a sick, nagging feeling. I have to tamp it down every day. Sometimes I succeed, sometimes I don’t. I try not to let this persistent sense of self-doubt affect the new things, but it’s hard. And I’m terrified of explaining how and why I often feel this way, lest I prove myself right. I just have to keep at it, keep blocking out the noise and realizing what I really do have to offer. It’s been about a week and a half since I was in Stockholm, and traveling again — especially traveling abroad again — just made me want to do it more. Rather than sate my need to move, it just spurred me on. 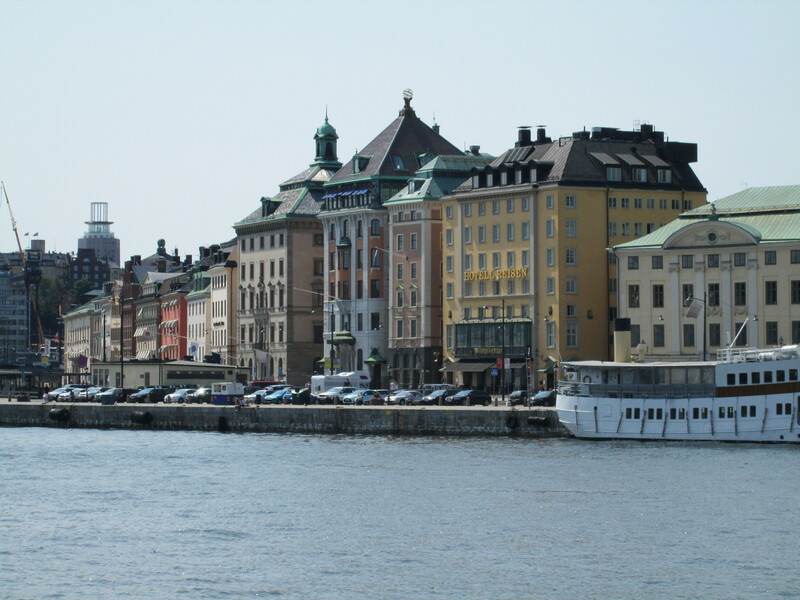 Stockholm, while beautiful and full of friendly people and gifted with perfect weather, just didn’t “grab” me the way cities like London, Paris and Florence did. I might not be being fair there; London and Paris are the twin jewels of the continent, and Florence has perhaps the best art collection in the world. Still though, I left Stockholm with a niggling feeling, like I was missing something. I recently decided that in lieu of spending Thanksgiving in the U.S., I was going to make use of the two paid holidays and take a week-long trip back to Europe. But not to the U.K. — I’m going to Germany. It’s been about two and a half years since I’ve been there, and that was a rushed visit to Berlin to sit the Foreign Service Exam. I’ve only ever been to Berlin and Munich. This time, I’m taking an early morning train up to New York City, spending a day with friends there, and then flying on a red-eye flight to Frankfurt. I’ll spend two days there, two in Bonn and then two in Cologne. I’ll hopefully see a combination of old and new friends, browse the Christmas markets, practice my (very rusty …) Deutsch and see the Dom in Cologne. This won’t be my first (or my last) Thanksgiving spent overseas, and I’m excited to see some friends, see parts of Germany I haven’t seen before, and just, in general, escape for a few days. I think that’s what appeals the most to me about travel, especially now that I’m working full time: It’s the chance to fall off the map for a while and to just be accountable to yourself. See you in a few months, Deutschland.